I bet not many of you have made a hexagonal blanket before. The Ubuntu Blanket pattern is available in 3 sizes – small, medium and large, so you can find one perfect for you. Also, its color combinations give you a lot of possibilities for own creativity and expressing your own personality. 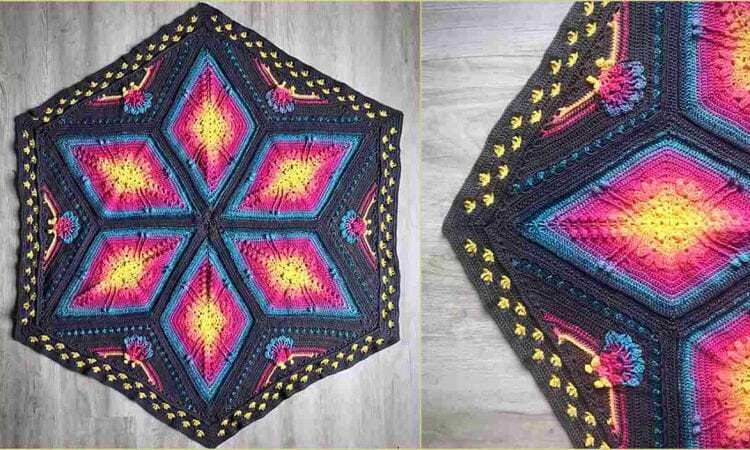 Before you start, see the most amazing realizations of this CAL, which show how the final effects can vary depending on the artist – crocheter. 🙂 A link to a free pattern is below. Thank you! A link was corrected.